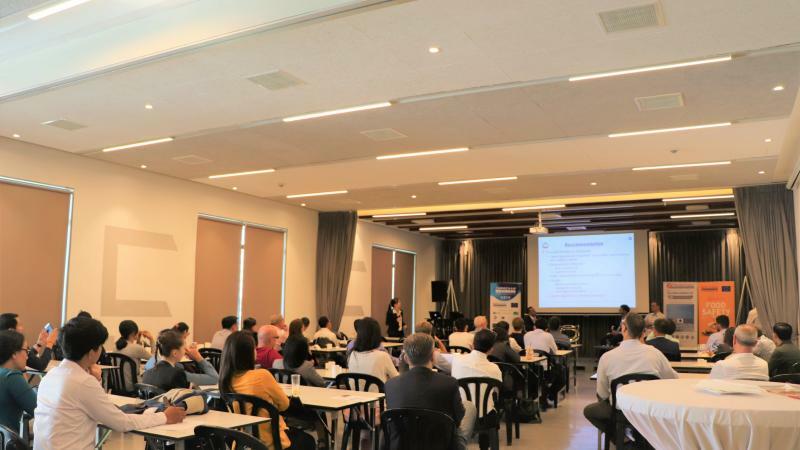 On 21 March 2019 at Raintree Cambodia, EuroCham hosted a Breakfast Talk on “Food Safety”. The breakfast talk was well attended by 50+ attendees. 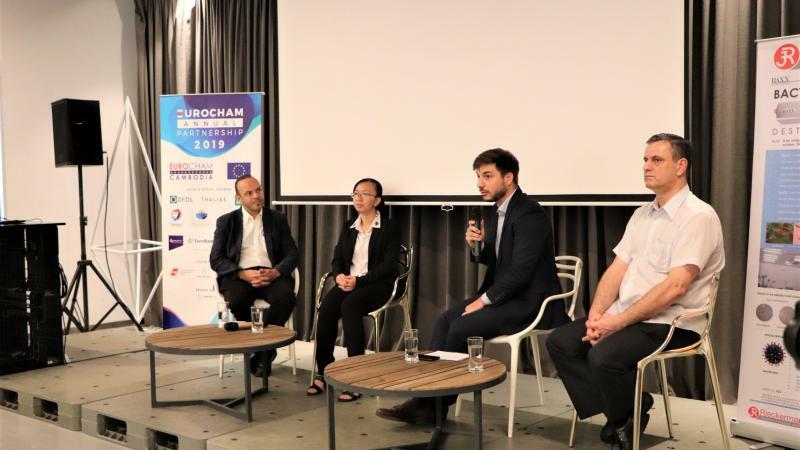 Our speakers included Ms. Sreng Navin, Head at Laboratory of Environment & Food Safety of Institut Pasteur du Cambodge; Mr. Guillaume Simon, COO Eric Kayser; Mr. Markus Kalberer, Dean of Academy of Culinary Arts Cambodia (ACAC) and Mr. Romain Grosjean, Managing Director at Jebsen & Jessen (Cambodia) and Vice Chairman of EuroCham Agri-Business Committee, as the moderator. 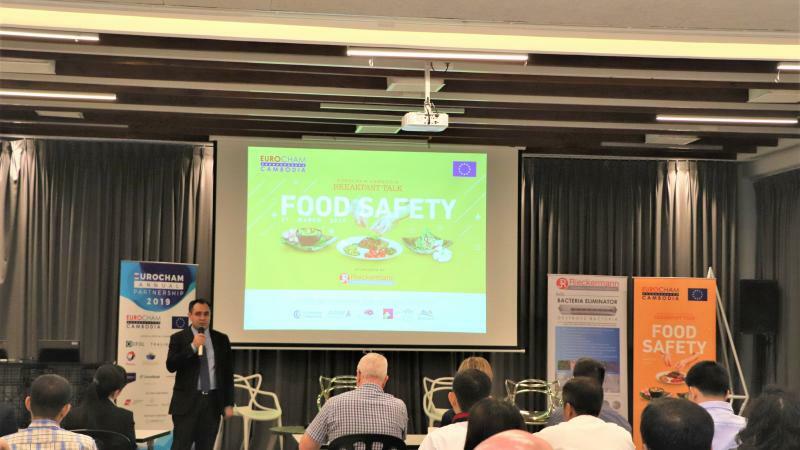 The speakers discussed the importance of food safety for consumers as well as F&B businesses, and provide advice to local F&B operations that are facing food safety issues.